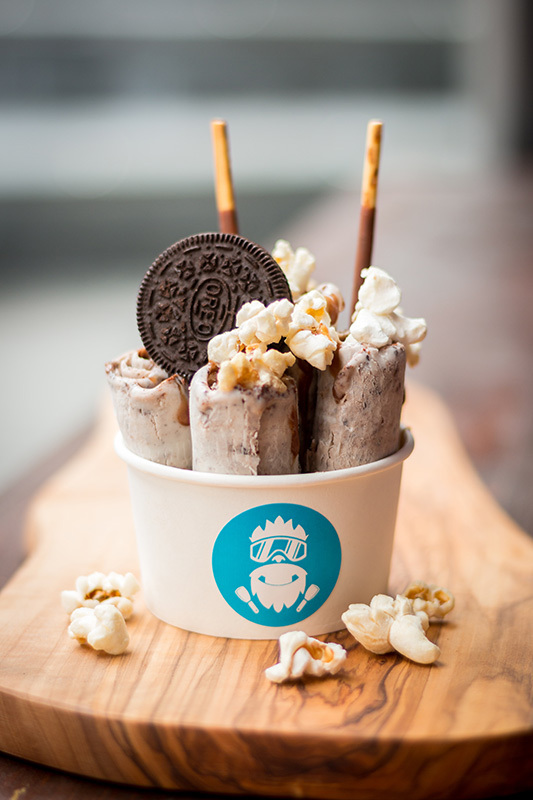 Ever since their travels around South East Asia, the couple behind Ice Slice have been captivated by the street food phenomenon. Upon their return, they dreamt of putting their combined years of catering experience and food passion into creating their very own slice of food heaven. Thus Ice Slice was born. 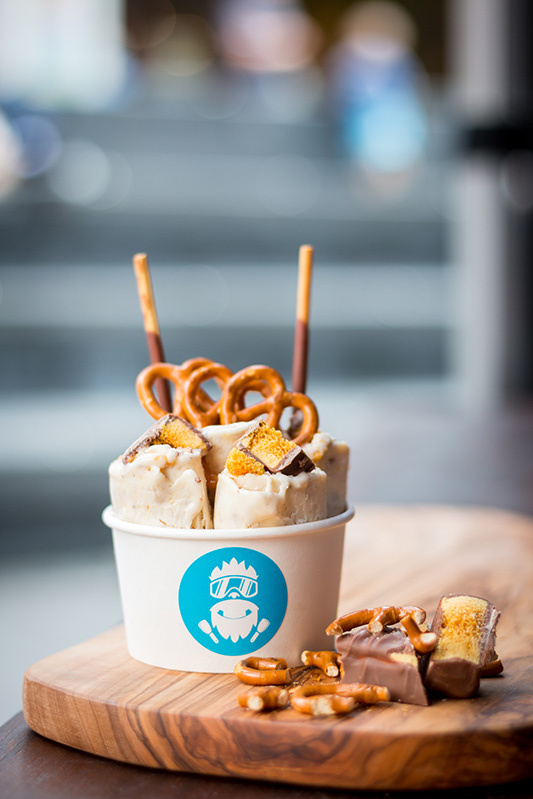 Ice Slice make customised Ice Cream Rolls on the spot and to order. 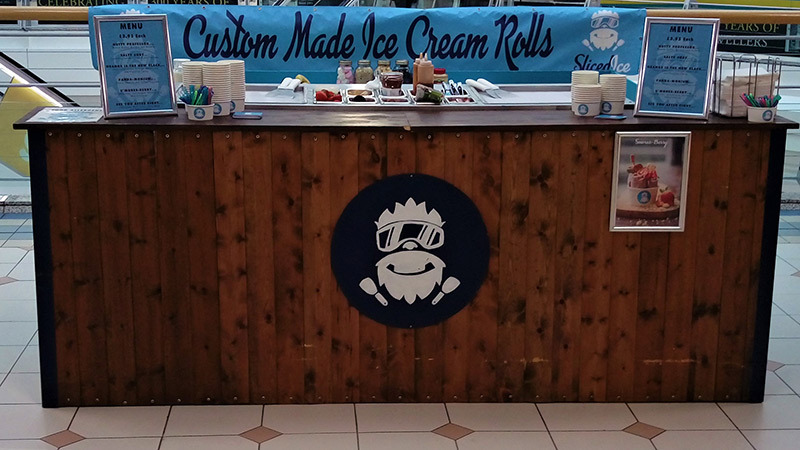 Customers can choose from a menu of popular favourites or Mix and Match ingredients to create their very own Ice Cream Rolls. 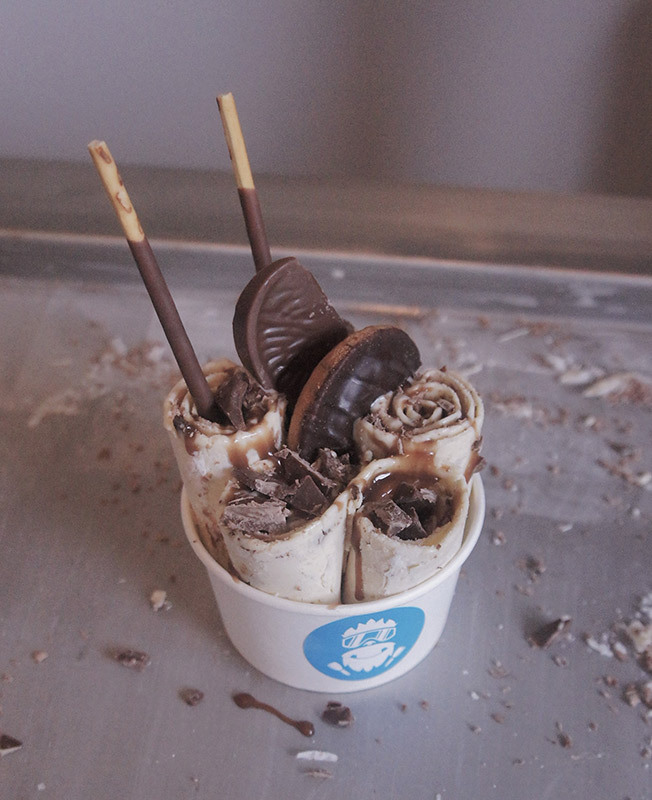 Upon request, Ice Slice can work with clients to create bespoke flavours to be rolled out on the day. 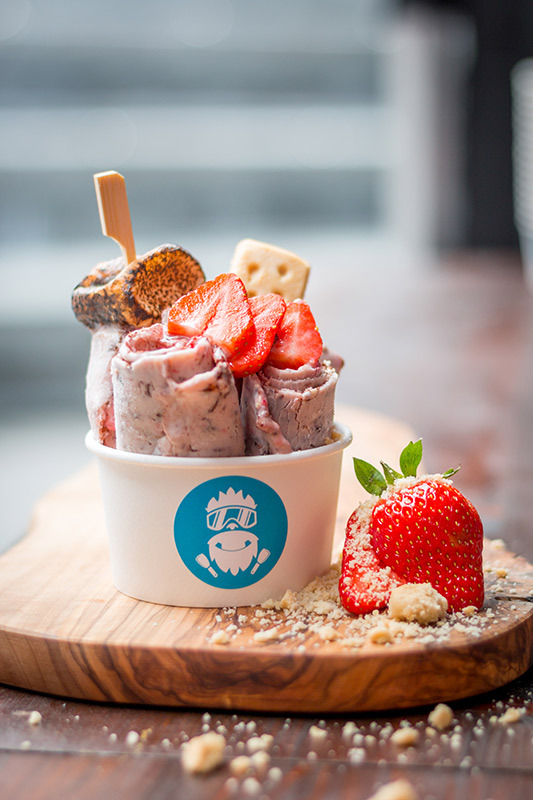 This is the biggest new trend in ice cream, it is not only delicious but also gathers crowds of spectators providing a great show for everyone to watch their ice cream being hand crafted before their eyes. Firstly your chosen ingredients are placed on a freezing pan around -25 degree Celsius. 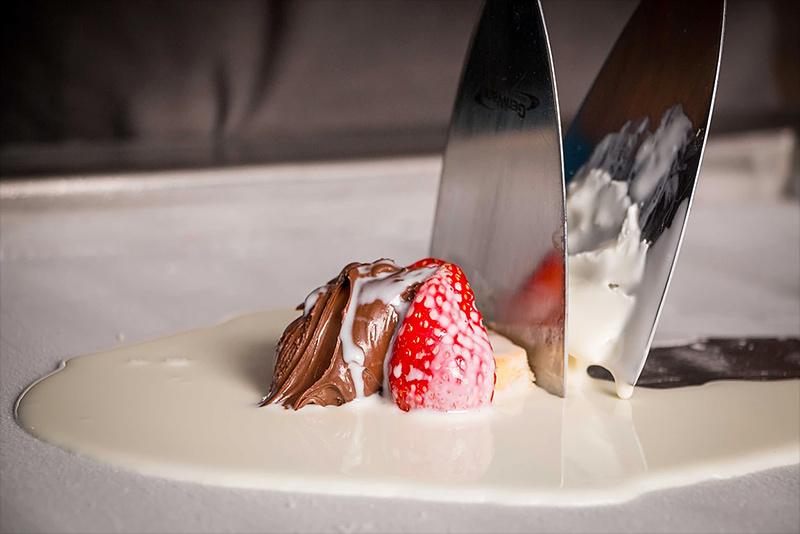 A liquid vanilla cream mix is poured over, then it all gets smashed up together to mix up all the flavours. The mixture is then spread evenly on the pan. 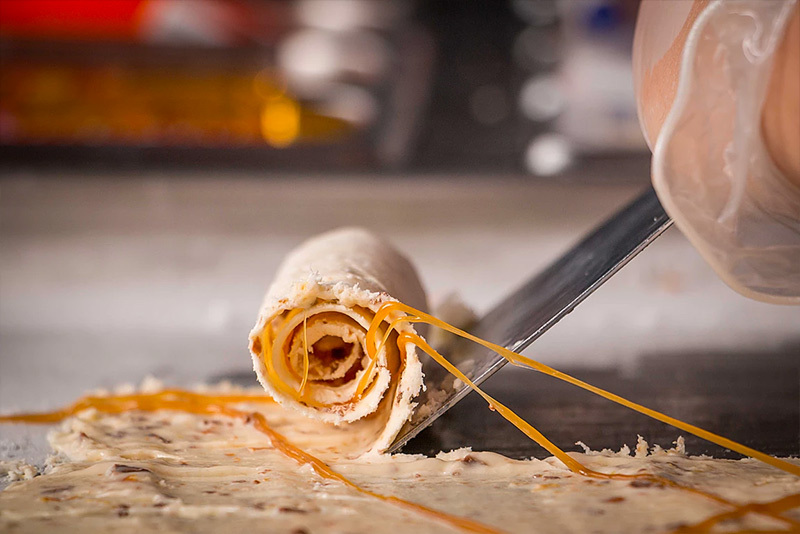 Once frozen the ice cream is sliced into rolls to be garnished with delicious ingredients.